More and more people today are taking the plunge and starting their own business. While it’s great to have a generation full of entrepreneurs, the reality is that many of these people simply won’t be successful. That may sound harsh, but it’s true. Particularly in the ecommerce world, there are millions of websites that go unnoticed, making for brands that go under almost immediately. If you are starting your own business, or already have one and are looking to improve, make sure you aren’t making one of these five mistakes. As a bonus tip, check out this guide to ecommerce platforms to make sure you’re making the best choice for your brand. When you are in the process of creating your products and building your brand you (hopefully) are incredibly excited and believe that your product will be a success. While it’s great to believe in your products, it takes a lot more than that to build up a customer base. Don’t make the common mistake of developing a great product and building a great website without also developing a marketing plan. At the moment of writing this, Internet Live Stats is reporting there are over 1 billion websites out there. Without solid marketing efforts, the only people who will be viewing your website are your close friends and family. Instead, devote some of your time to how you can best market your brand. For many of you, social media will be key to your success. However, don’t get bogged down with setting up pages on each and every channel. Focus on the 1 or 2 platforms that will best serve your brand. Consider what your marketing budget will be and do some research as to where to use that money. For example, Pinterest has recently become a popular destination not just for brands to market their products, but to also sell their products. Pinterest doesn’t take a cut of the sales you make, making it a great option if you have a visual brand. Pinterest has integrated with Shopify (as well as 4 other ecommerce platforms) so be sure to consider this when setting up your social media, as it is still fairly new and is a great way to sell your products in a way that few other stores are. If you are shooting your product images on your iPhone in your living room, you need to stop. While the cameras on smart phones are pretty impressive, they won’t cut it when it comes to your actual product photography. These images are the only reference material a customer has when deciding to purchase or not, so they need to be high quality. 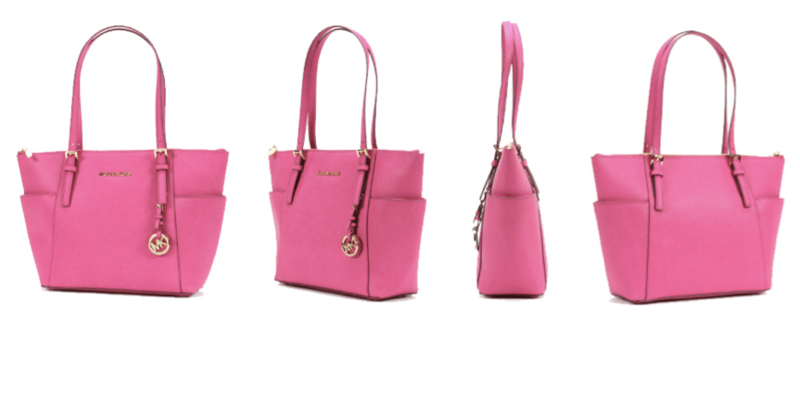 Something else to keep in mind is the rise of video popularity for product descriptions. While you shouldn’t ditch all your images and product descriptions and replace them with a video, you should consider integrating video into your approach. This is particularly helpful if you sell something that isn’t your typical physical product (clothing, furniture, etc.). You may, for example, sell a new software tool that you want to show in action. Or, you have a new app to show off. A unique way to combine both photo and video is through 360-degree photography. 360-degree video has become the latest hit on social media, so why not make that trend work in your store? Companies like Snap36 shoot high quality 360-degree and 3D images that you can use on your website. Whatever you choose to do, make sure you do it well. Professional images, videos, and useful product descriptions will all make a huge difference when it comes to the success of your store. It’s great to have a system in place where users can make an account through your website, don’t get me wrong. Accounts are useful for tracking orders, storing payment info, and for logging points or rewards if you have a loyalty program. However, when someone is in the process of checking out, that is not the time to ask him or her to sign up and input a bunch on information. In fact, a 2014 ecommerce survey conducted by VWO showed that 23% of customers chose to abandon their carts if they were forced to become a member when checking out. That’s a large percentage lost over something that is so easy to fix! Allow your members to checkout as a guest, and notify them that they can create an account later if they want to. In an age of one-click buying online from places like Amazon, users expect speed when checking out. Make sure you streamline the process as much as possible, making sure users only have to provide totally necessary information for completing their order. Big mistake! How will your customers trust you or your brand if they can’t communicate with you? Not only do you need to make it known your customers can reach you; you should make it as easy as possible for them. Offer multiple channels of support, and have a well-designed ‘Contact Us’ page that has all of your information clearly stated. 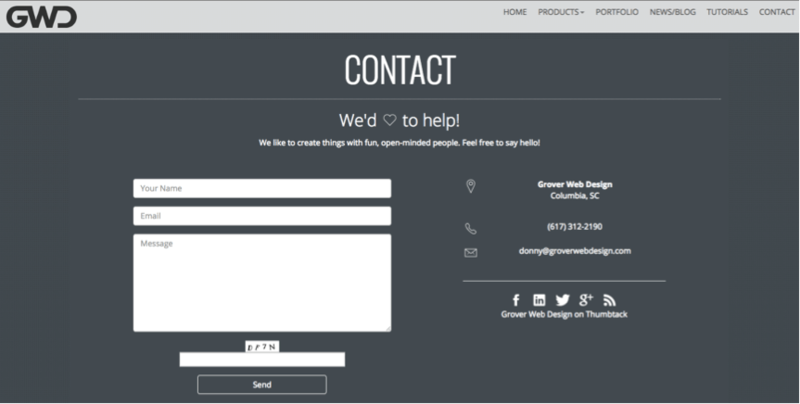 In this example, Grover Web Design has a simple, but easy to understand contact page. Not only can you easily send a message right from their website, you can also see other places they can be reached, such as by phone, email, or via their social media channels. You never know which method your customers will prefer, so be sure to offer at least a few options. Live chat is gaining popularity as a quick and easy way for customers to get immediate answers to their questions. Consider this option when determining your customer service strategy, as research shows people love it, with a customer satisfaction rate at around 73%! Finally, a huge mistake ecommerce brands make is that they simply aren’t connecting with their audience. With billions of emails being sent every day, you run the risk of yours sitting in over-crowded inboxes. Even social media has gained so much popularity that it is hard to stand out, and with algorithms determining who sees what (such as the new Instagram algorithm that stops images from being shown chronologically), you are facing a tough battle to be seen. However, a great way to ensure your target audience is seeing your messages is through web push notifications, using a service such as Aimtell. With website push your visitors can subscribe to your site in just one click. No emails, no forms. Then you can instantly send a notification to to your subscribers which, when clicked, drive them back to your site. Tags: business mistakes, digital marketing, ecommerce, web push notifications.